Welcome to Tetra’s gallery as part of Link’s Friendlist! The right one is by HyliaBeilschmidt from Poland, also a big Zelda fan who participated in our Link’s Blacklist project last year with her take of the LikeLike from the original Legend of Zelda! While Tetra from The Legend of Zelda: The Wind Waker is actually ************* herself, she just had to be in our Link’s Friendlist project! Tetra is one of the 7 Legend of Zelda characters which were claimed by three artists in the first round of Link’s Friendlist. 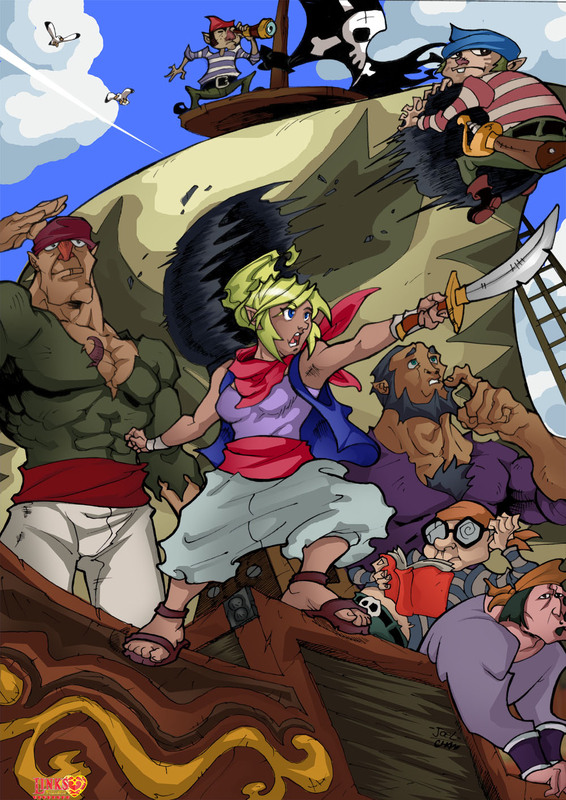 We allowed only one artist per Monster/Boss in the Blacklist project, so we tried to get many very different takes on the good guys together and this illustration of Tetra and her crew by Joel Sousa from Portugal shows exactly why this was a damn good idea! “These are Miss Tetra’s Pirate Crew. They definitely are a fun bunch, especially Niko, the one grabbing on to the cannonball. Not only is he the lowest ranked Pirate, but is also the one which interacts the most with Link, after Zeld…erm…I mean Tetra of course!! 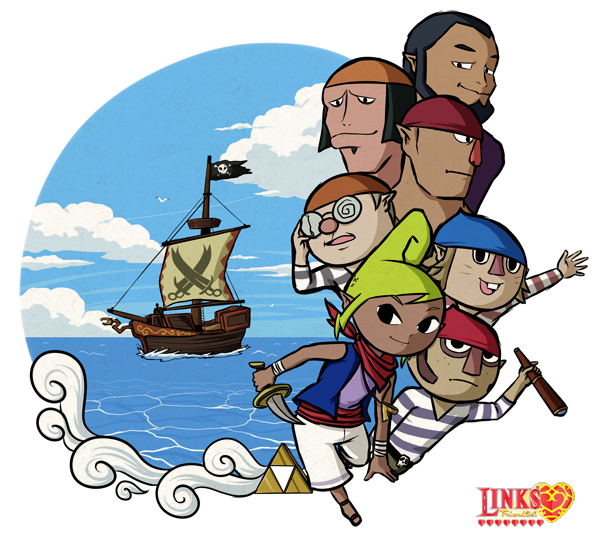 Tetra is one of the few The Wind Waker characters who are returning in later games. 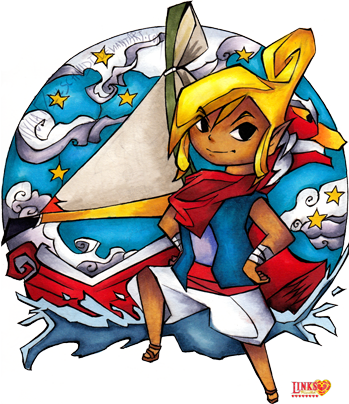 Tetra is an important part of The Legend of Zelda: Spirit Tracks. Personally, I would love to see her in a Super Smash Bros. game as well.